the slate drops from the sky. fused with gut and bone. All but one have flown. 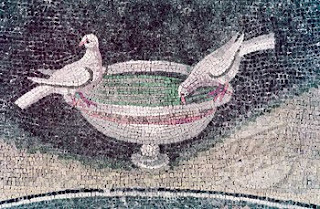 the doves resume their dance. You have made these rather less than elegant birds sound almost lovely. I love the way your lines scan making the rhyming sound so natural and far from contrived.